With aerial advertising however, your ad is appealing to consumers when they are in a vulnerable state. You will be capturing the attention of a vast, captive audience when they are in a leisurely mindset, enjoying whatever music festival, beach getaway, or state fair they have chosen to attend. In fact, your target demo is probably already using social media on the ground below. People love to snap photos, Tweet, and update their statuses about whatever outdoor event they’re currently at. 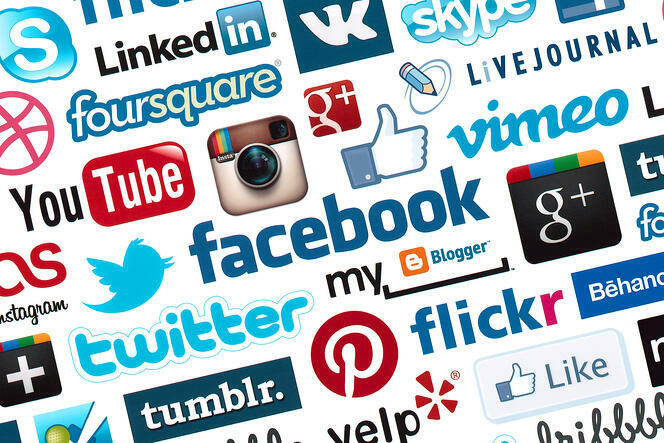 We live in a world where sharing on social is one of the top ways to communicate. With the right messaging, your ad could be what they choose to share! How Can I Use Aerial Advertising To Get My Ad Shared On Social Media? It’s time to think creatively. Aerial advertisers that have the most success on social media have clever or funny creative, a strong CTA, and are strategic about which events they fly over. Here are a couple examples of how our clients have used aerial advertising to get exposure on social media. 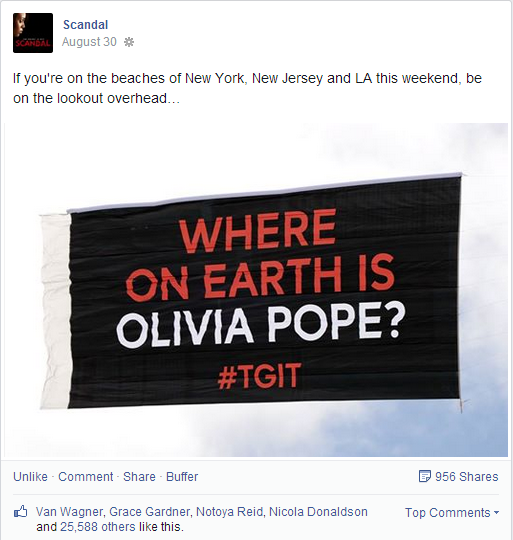 ABC’s Scandal aerial banner is a shining example of teasing people into sharing their ad on social media. With the season premiere of Scandal just a few weeks away, the ABC marketing team turned to Van Wagner Aerial Media to help get people talking. Just a day after Scandal released their newest teaser trailer, the Scandal aerial banner flew over some of the most popular beaches in California and the northeast. As you can see, the banner’s creative focused on the hashtag #TGIT as the main CTA. Thousands of Twitter and Instagram users Tweeted, Re-Tweeted, and Instagrammed photos of the banner’s flight over the beaches. 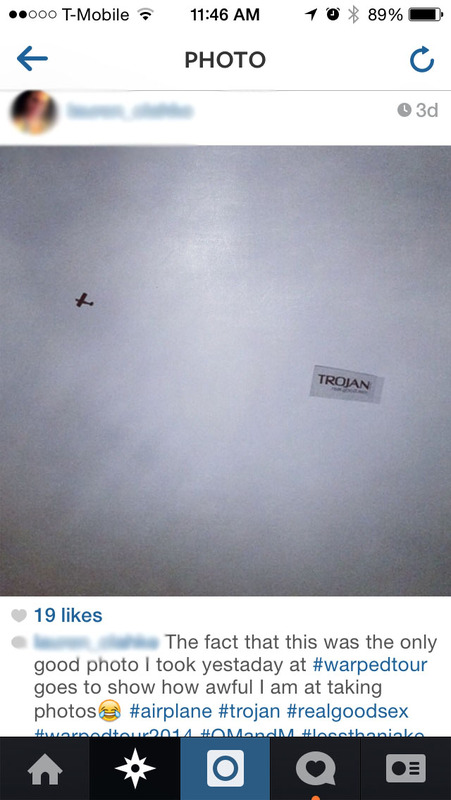 It's safe to say that the Scandal aerial banner ignited a Twitter frenzy. 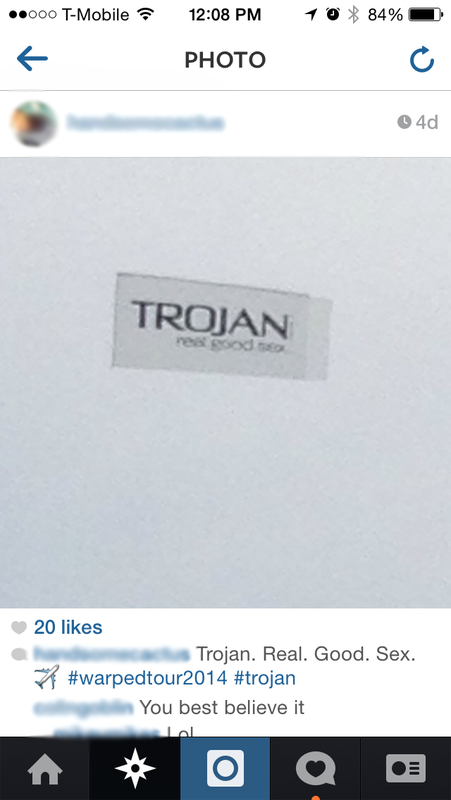 Trojan did a great job in targeting their desired demographic. By flying over Van’s Warped Tour and concerts like it, they are keeping themselves relevant, creating brand awareness, and getting people talking and laughing on social media. You can acheive the same effect with aerial advertising! If you have any questions about running an aerial advertising campaign, Van Wagner Aerial Media can help. Our team of highly experienced sales coordinators can walk you through everything from flight patterns to demographic research to banner creative. Contact us today, or click below for a free quote! Click below to download our free guide!